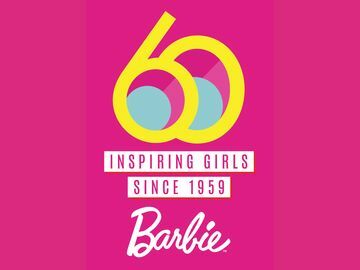 Barbie(R) Celebrates 125th Career with Global Initiative to Inspire Girls | Mattel Inc.
EL SEGUNDO, Calif., Jan 21, 2010 (BUSINESS WIRE) -- For more thanfive decades, Barbie(R) has inspired girls to dream, discover and explore a world without limits. Celebrating her 125th career this year, Barbie(R) kicks-off a global campaign to further inspire girls by partnering with The White House Project and Take Our Daughters And Sons To Work Foundation, as well as announcing today Barbie's(R) "10 Women to Watch in 2010" list. Additionally, for the first time, consumers can help select Barbie(R) doll's 125th career by voting on www.Barbie.com/Vote and choosing from among Architect, Computer Engineer, Environmentalist, News Anchor or Surgeon. The winning 125th career will be unveiled on February 12th at New York Toy Fair. "For more than 50 years Barbie has served as a reflection of fashion, culture and aspiration to girls of all ages. Barbie inspires girls to try on different careers, encouraging them to play out their dreams and explore the world and all of its possibilities," said Stephanie Cota, Senior Vice President, Barbie Marketing. "We believe role-playing with Barbie leads to real life opportunities and are very proud to partner with organizations who continue to inspire girls and women with the belief and confidence that they can do anything." With more than 120 careers on her resume - spanning from registered nurse to rock star, veterinarian to aerobics instructor, pilot to police officer - Barbie(R) doll continues to take on aspirational and culturally relevant roles while also serving as a role model and agent of change for girls. She first broke the "plastic ceiling" in the 1960s when, as an astronaut, she went to space four years before man walked on the moon. In the '80s she took to the boardroom as "Day to Night(TM)" CEO Barbie(R), just as women began to break into the C-suite. And in the '90s, she ran for President, before any female candidate ever made it onto the presidential ballot. In 2010, Barbie(R) doll takes on several new careers, including snowboarder, ballroom dancer, pizza chef and race car driver. "In creating Take Our Daughters to Work Day, I had the opportunity to take girls into workplaces that they might never have seen, and through these experiences, their aspirations changed and grew. When we started The White House Project, we had to show girls they could aspire to the top workplace of all: the Oval Office," said Marie C. Wilson, Founder and President, The White House Project. "Through Barbie, and its 'I Can Be' President Barbie, little girls have had the opportunity to lead the country from their living rooms and bedrooms, or get out their Barbie and Ken dolls and call a joint session of Congress. We at The White House Project are thrilled to be partnering with Barbie as she celebrates her 125th career and continues to inspire girls of all ages to follow their dreams." Throughout the year, Barbie(R) will inspire girls by closely working with signature partners, including The White House Project, Take Our Daughters And Sons To Work Foundation, and a group of 10 highly accomplished, noteworthy women Barbie(TM) has named "The 10 Women to Watch in 2010." The White House Project: Working to advance women in leadership with the project mission "add women, change everything," The White House Project and Barbie(R) have partnered since Barbie(R) doll first ran for the Oval Office in 1992. This year, The White House Project, a non-profit/non-partisan organization, and Barbie(R) are partnering to ignite a national movement to encourage girls - the next generation of leaders - to dream and achieve through mentoring programs. Barbie(R) and The White House Project are co-authoring a declaration in support of girls to be presented to The White House. Focused on the importance of mentoring and a commitment to fostering the next generation of leaders, Barbie(R) and The White House Project will call upon 1 million girls to sign the Declaration once it is drafted. Take Our Daughters And Sons To Work Foundation: As the lead sponsor of Take Our Daughters And Sons To Work(R) Day, a global event which activates millions of kids to visit workplaces on April 22nd, Barbie(R) and the Foundation are engaging girls through mentoring, experiential content and workplace events. By helping bring millions of girls to the workplace, Barbie(R) and the Foundation are allowing girls to envision the future and encouraging them to share their dreams with other girls. "10 Women to Watch in 2010": In 2010, Barbie(R) honors 10 women who continue to serve as ambassadors of dreams and role models for women's leadership. Barbie's "10 Women to Watch in 2010" salutes women who continue to innovate and forge paths to be followed by others. Each of the women on the list is a trailblazer in her respective field, has a legacy-making year ahead of her in 2010 and continues to dream big, both for herself and for a future generation of girls. As part of her role as one of the "10 Women to Watch in 2010," each woman has committed to mentor a girl, through Barbie(R), in celebration of Take Our Daughters And Sons To Work(R) Day. "The Barbie brand is recognizing women leaders who span different ages, ethnicities and industries. We are proud to honor these spectacular women, spotlight their contributions and reinforce to girls that anything is possible," said Cota. Global Online Campaign to Select Barbie's 125th Career: For the first time ever, girls around the world are able to help Barbie(R) doll select her next milestone career. Polls will be open from mid-January through February 10th, and the winning career will be unveiled at a special event at New York Toy Fair on February 12th, 2010. The new career doll will be on shelves in Fall 2010. Vote at www.barbie.com/vote. 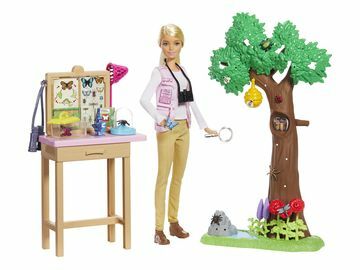 Barbie.com: Serving as a resource for both girls and parents, Barbie.comSM will feature a dedicated and content-rich "I Can Be(TM)..." micro site that will house mini-documentaries spotlighting fascinating women and careers girls can explore, along with various role-play, career games and activities. "Big girls" can also become fans of Barbie(R) on Facebook, follow her on Twitter and network with her on LinkedIn. 2010 I Can Be(TM)...Product: In 2010 Barbie(R) doll continues to take on aspirational and culturally relevant careers with the introduction of I Can Be(TM)... a Rock Star, Pet Vet, Newborn Baby Doctor, Dentist, Race Car Driver, Babysitter, Snowboarder, Ballroom Dancer, Preschool Teacher, Ballerina and Pizza Chef. Each of these dolls allows girls to "try on" and imagine themselves in different roles and careers. Girls can also extend their play online, as each toy comes with a special code that unlocks online games specific to that particular theme -- allowing girls to further play out the career online. Canada - Canada will launch the Barbie(R) "I Can Be(TM)..." academy, which will invite girls and moms to physically try on different roles and learn first-hand about a variety of careers. The event will also celebrate Barbie's past careers for moms and girls to see where Barbie(R) has been and is headed. Latin America - Throughout Latin America, "I Can Be(TM)..." camps will be hosted to allow girls to immerse themselves into different careers and professions, meet inspirational women and literally try on their futures. Nuremberg - At Nuremberg Toy Fair in early February, three one-one-of-kind dolls will be unveiled honoring three well-known, accomplished and aspirational women. United Kingdom - The United Kingdom will be partnering with the Women and Work Commission to reach out to girls and reinforce the message that "girls can be and do anything." Mattel, Inc. (NASDAQ: MAT) (www.mattel.com), is the worldwide leader in the design, manufacture and marketing of toys and family products. The Mattel family is comprised of such best-selling brands as Barbie(R), the most popular fashion doll ever introduced, Hot Wheels(R), Matchbox(R), American Girl(R), Radica(R) and Tyco(R)R/C, as well as Fisher-Price(R) brands, including Little People(R), Power Wheels(R) and a wide array of entertainment-inspired toy lines. In 2009, Mattel is recognized among the "100 Best Corporate Citizens," as one of the "World's Most Ethical Companies" and as one of FORTUNE Magazine's "100 Best Companies to Work For." With worldwide headquarters in El Segundo, Calif., Mattel employs approximately 30,000 people in 43 countries and territories and sells products in more than 150 nations. Mattel's vision is to be the world's premier toy brands -- today and tomorrow. After its creation in 1993, the Take Our Daughters And Sons To Work(R) Day quickly became the largest public awareness campaign in the United States because of its advocacy for girls' issues through girls being seen and heard and fully participating in all segments of society. The public was enthusiastic about and aware of the need for the program which has grown to be celebrated by millions of youth and adults in over 3 million U.S. workplaces yearly and in over nine countries globally. By bringing millions of girls to the workplace, the Foundation and Barbie(R) are enabling girls to envision their futures and encouraging them to share their dreams about work, home and community life. This year the Take Our Daughters And Sons To Work Foundation begins the revamping and enlargement of its website www.DaughtersAndSonsToWork.org and encourages hosting organizations to visit the site to download planning materials and activities which can be used by youth ages 8-18 during the Take Our Daughters And Sons To Work(R) Day and throughout the year.